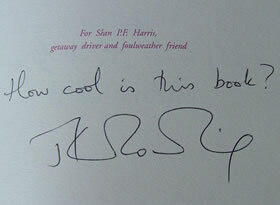 It has always been difficult to establish if a piece of signed memorabilia is genuine. Here at Authenticate My Autographs we offer a FREE authentication service as part of our full inclusive memorabilia authentification programme. Run by collectors for collectors. Working with a team of experts covering most genres our sole aim is to help genuine collectors and businesses establish if their memorabilia, signed books and collectibles are genuine. We have excellent knowledge of most genres encompassing Music, Movies and Sport through to Art, Literature and Politics. Our experts are standing by right now to help you establish if your autographs are geuine. The use of COA's (Certificate of Authenticity) has become much abused in today's market, and they are often no longer worth the paper they are printed on. 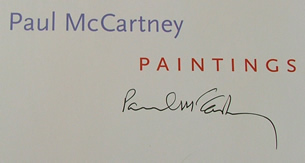 Nowadays, anybody with a decent printer can make the worse fake signature in the world appear to have the most exceptional provenance. Here at Authenticate My Autographs we break down these barriers and offer a full authentication service for private and insurance purposes. 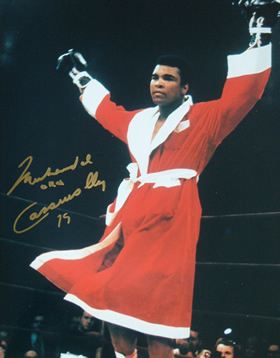 Our panel of experts will study your signatures, autographs, memorabilia and rare collectibles for FREE. We will give you an honest FREE opinion right back via email, often within 24 hours. This service is for our professional opinion only and based upon our own investigation and analysis of the item. It does not guarantee your item is genuine. Our opinion is based upon both extensive knowledge within the sector and also on several like for like comparisons of correct signatures and items. If we believe your item to be genuine we will tell you for FREE. 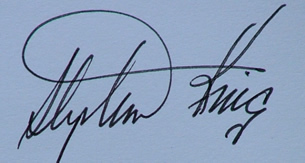 In some instances we may not be able to establish if your signature is authentic as it may be pre-printed (part of the photograph or memorabilia). In these instances we will also let you know this information for FREE. If you would like us to authenticate your signatures, autographs or memorabilia, here is what to do. Firstly, email us a good quality image of your item to info@rareandsigned.com and we will give you our free honest professional opinion. Please allow time for us to receive and reply to your email as we do receive many requests for this service every day. If we deem your item original, for a small fee we can supply you with a unique, high quality and detailed insurance certificate to accompany your genuine memorabilia. Your certificate will show a photo of the actual item. We can also supply you with a printed version of your certificate on quality glossy or matt cartridge paper. We will process your order upon receipt of full payment. Your fee can be paid easily via PayPal or we can send you an invoice for the total if you prefer. Please note we are closed weekends but open each weekday and process certificates on a daily basis when payments are made. We generally have these turned around within 24-36 hours, slightly longer at holiday times. PLATINUM - Laminated & Digital certificate with hologram tracking (via tracked post and email). This premium service is the equivalent of the GOLD & BRONZE packages together. Printed certification is mailed to you via a tracked postal service and is a quality A4 glossy printed certificate. The printed option also includes a tamper proof individual serial numbered AUTHENTIC MEMORABILIA hologram to attach to your item.